Contents : 2007 to 2018 June and November Past Year Exam Papers. Paper 1 & Paper 2 with step-by-step full worked solutions. About this book : This book contains the Past Examination Questions of O Level Mathematics examination from year 2007 to 2018, Paper 1 and Paper 2 with step-by-step full worked solutions. The questions, are arranged in topical form so that the students can revise and practice systematically. Questions from past examinations have always proved to be the best practice for students. Students are able to apply what they have learnt. This book is also a very useful study guide for students as they can practice the questions, and then check their working and answers . 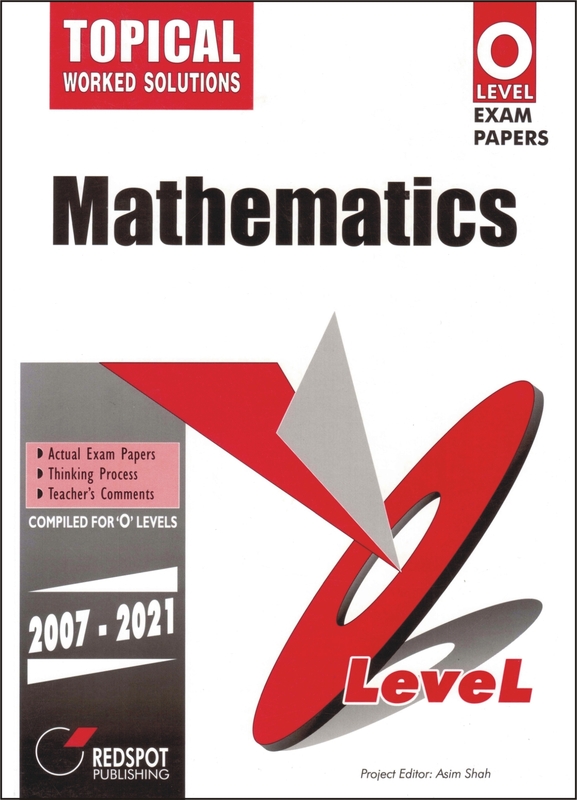 This book is highly recommended for the students who are preparing for the O Level Mathematics examination.